Kevin and I hiked to Half Dome by the light of the full moon. 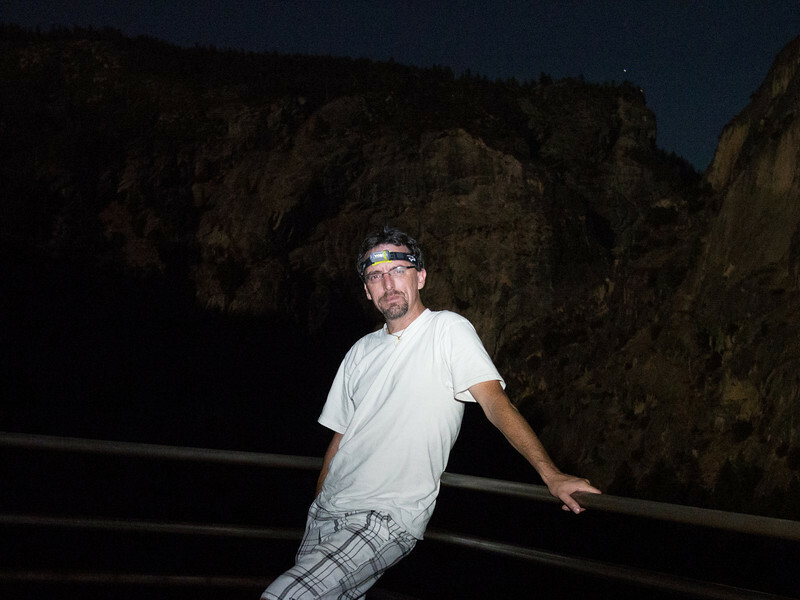 We left Yosemite Valley at 8 PM on August 1, and saw the moonrise a hour later. Pictures of night sky and what appears to be the sun are actually the full moon. After hiking all night, we reached the peak of Half Dome at 4 AM. Starting at 5 AM, spectacular colors developed in the sky as the sun rose while the moon was still fully visible on the opposite horizon.